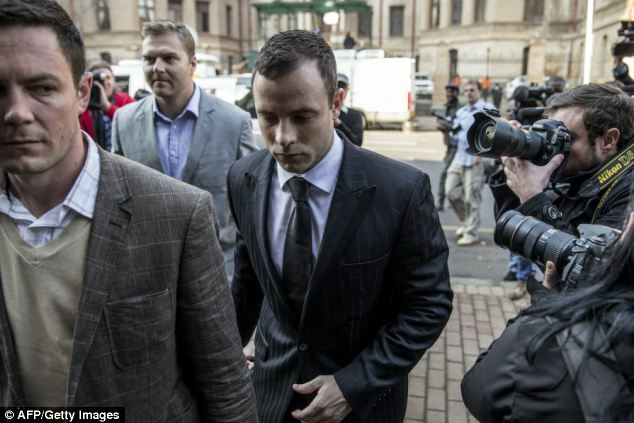 The panel's reports were submitted to Judge Thokozile Masipa, with prosecutor Gerrie Nel noting that the experts believed Pistorius was 'capable of appreciating the wrongfulness of his act' when he killed Steenkamp, a 29-year-old model. 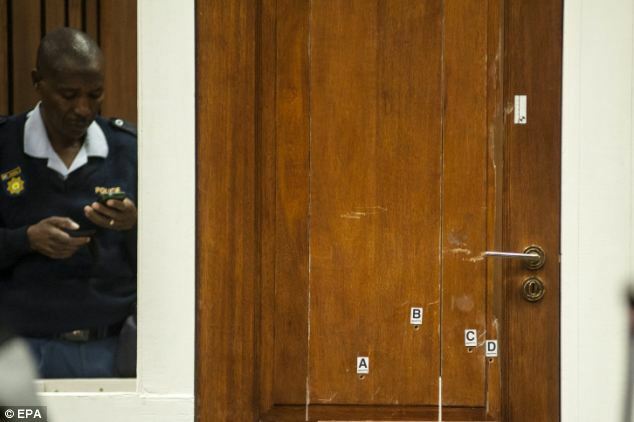 'At the time of the alleged offences, the accused did not suffer from a mental disorder or mental defect that affected his ability to distinguish between the rightful or wrongful nature of his deeds,' Mr Nel read from a report submitted to the court. Both Mr Nel and defence lawyer Barry Roux accepted the findings of the panel of psychiatrists and psychologists after 30 days of evaluation. 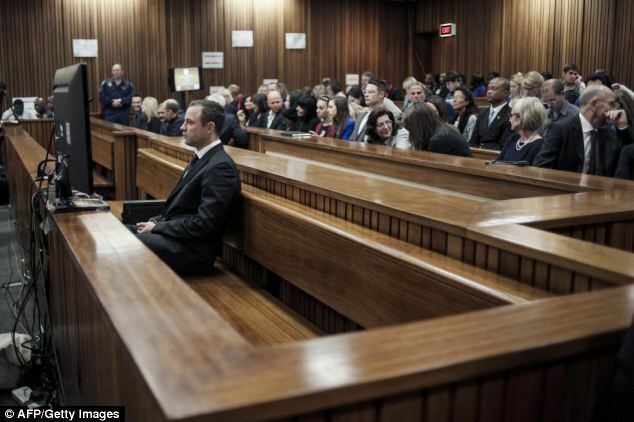 The trial promptly resumed as Mr Roux called surgeon Gerald Versfeld, who amputated Pistorius' lower legs when he was 11 months old, to testify about the runner's disability and the difficulty and pain he endured while walking or standing on his stumps without support. 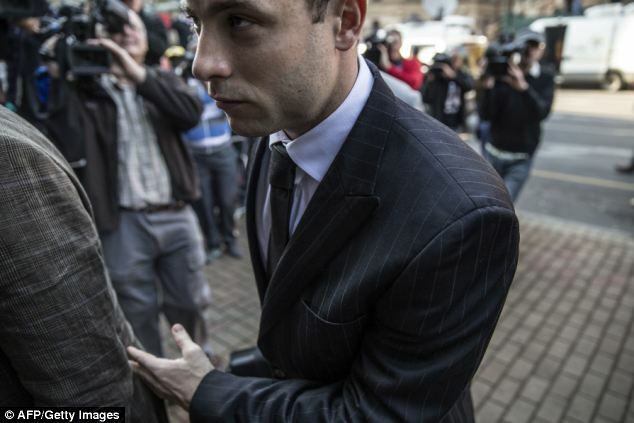 Pistorius was born without fibulas, the slender bones that run from below the knee to the ankle. 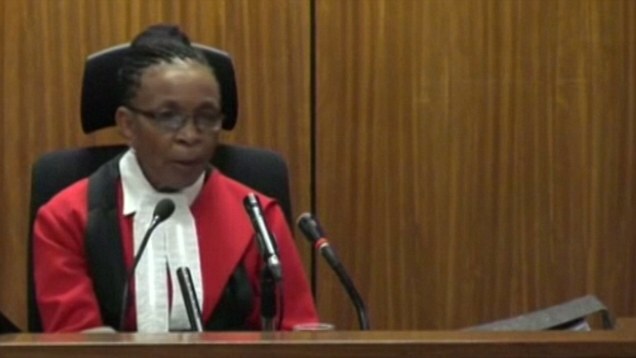 At Roux's invitation, Judge Masipa and her two legal assessors left the dais to closely inspect the stumps of Pistorius as he sat on a bench. The athlete was on his stumps when he killed Steenkamp, and his defense team has argued that he was more likely to try to confront a perceived danger rather than flee because of his limited ability to move without prostheses. 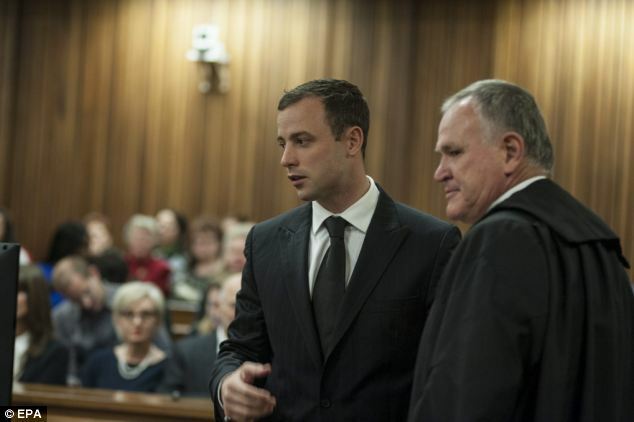 During cross examination, Nel questioned Versfeld's objectivity and raised the possibility that Pistorius could have run away from a perceived intruder on the night of the shooting. 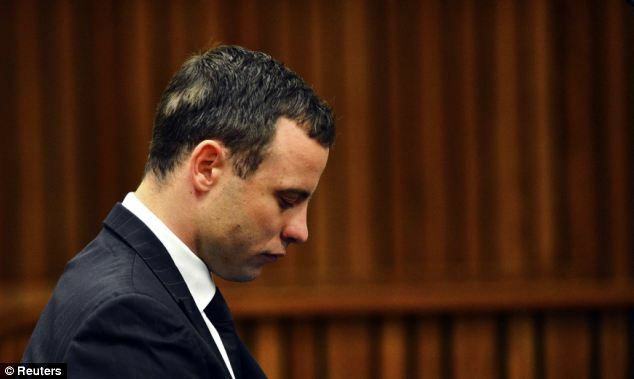 He also said Pistorius rushed back to his bedroom after the shooting and made other movements that indicated he was not as hampered as Versfeld was suggesting. Later in the hearing, the judge said she was 'very unhappy' after the prosecution said they were unable to produce a piece of evidence - an electrical cord - from Pistorius' house. The psychiatric evaluation came after a psychiatrist, Dr. Merryll Vorster, testified for the defense that Pistorius, who has said he feels vulnerable because of his disability and long-held worry about crime, had an anxiety disorder that could have contributed to the killing in the early hours of February 14, 2013. He testified that he opened fire after mistakenly thinking there was a dangerous intruder in the toilet. 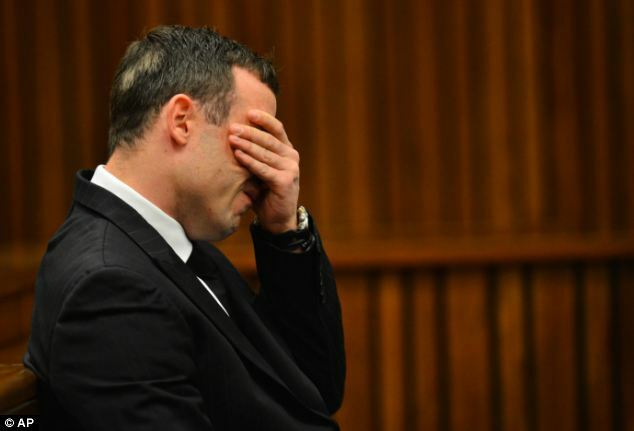 Mr Nel has alleged that Pistorius, 27, killed Steenkamp after a Valentine's Day argument, and has portrayed the Olympic athlete as a hothead with a love of guns and an inflated sense of entitlement. 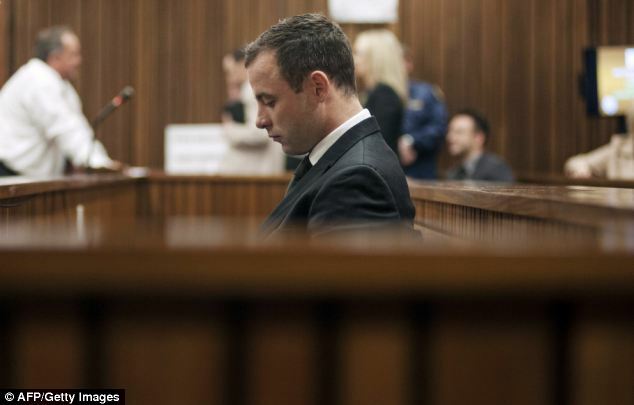 But he requested an independent inquiry into Pistorius' state of mind, based on concern the defense would argue Pistorius was not guilty because of mental illness.